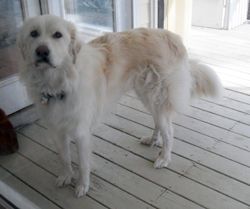 Hi everyone, I’m Samson, a handsome young boy returning to GPRA through no fault of my own or my family. Life has not been very good to my dad lately and so GPRA is going to find me a great home. I’m just under 2 yr old and still learning manners but I’m a sweet, loving boy. I love to be around people and will make a great companion. I am good with other dogs and cats. If you believe I would make a best friend for you, please contact GPRA today.